The ancient Greek civilization developed in the Balkan Peninsula in south-eastern Europe. In antiquity, it expanded up to Illyria and Macedonia in the north, the Mediterranean Sea in the south, the Aegean Sea in the east and the Ionian in the west. Greece’s terrain is rugged due to its mountain ranges, creating deep and narrow valleys that divide the country and benefits political division. Its relief has played an important role in the history of the Greek people. 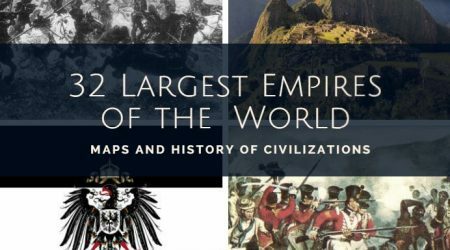 It divided the country into a large number of isolated cantons where small independent states developed, leading to the emergence of republics such as Athens, Sparta, and Thebes. Greece’s climate is varied, with sudden cold spells, as well as torrential autumnal rains. Generally, it has a temperate climate thanks to its seas, which allowed its inhabitants to live outdoors under a bright and clear sky. 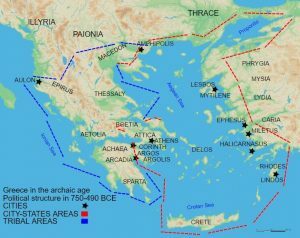 Ancient Greek history roughly begins in the 12th century BC, lasting until it was conquered and made a Roman province in 146 BC. During this time, there were three phases of Greek history: Archaic Greece, Classical Greece, and the Hellenistic Period. This Greek cultural era took place between the 12th and 8th centuries BC. Greece was in the Homeric age at this time, so named due to the poems attributed to Homer, the Iliad, and the Odyssey, which give us an image of the Greek Middle Ages, a dark and legendary period of Greek history. 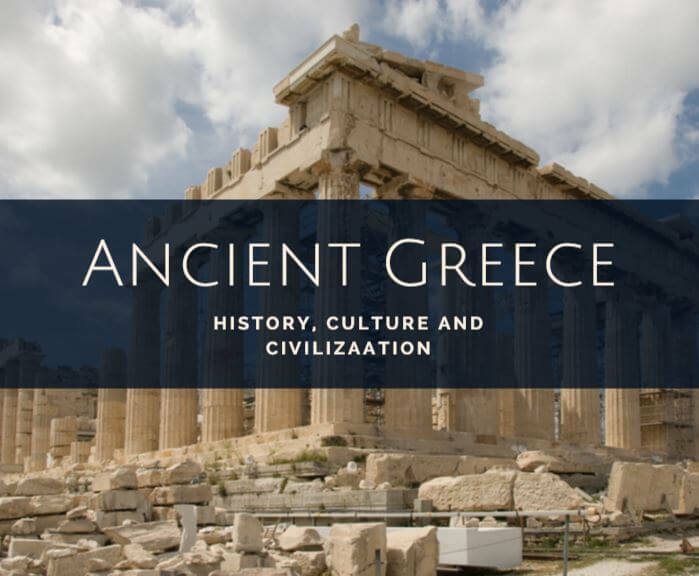 This period of Greek culture occurred between the 5th and 4th centuries BC, spanning the events of the Greco-Persian War to Macedonian hegemony, and was the age of Greece’s greatest cultural development, forming the basis of Western culture. This age lasted between the 4th and 1st centuries BC and spans the events from the death of Alexander the Great to the Roman conquest of Greece. 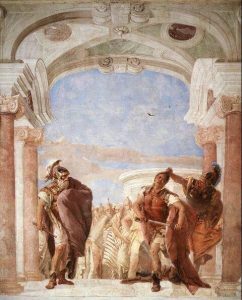 The Homeric period is dubbed the Heroic Age due to the poems attributed to Homer, the Iliad, and Odyssey, which give us an albeit legendary image of Archaic Greek history. 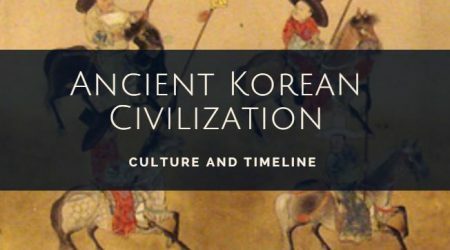 It was characterized by the transition of the patriarchal regime, based on shepherding and a mysterious and primitive religion, to urban life, with commercial and industrial development and an organized religion. When the polis, or cities, arose, family clans were organized into social classes, where the nobility found political and economic power based on land ownership and agrarian activity. The primitive monarchy was then replaced by the oligarchy, a government controlled by the Greek nobility. During this dark and blurred period, indigenous and foreign cultural elements fused due to invasions and the later Greek historical states were formed. Two of ancient Greece’s great literary works, known as the Homeric poems, the Iliad and the Odyssey, are attributed to Homer, a great poet of the ancient world who was also dubbed the blind bard. In the early days, these poems were only known in oral tradition, but when the Greeks learned the Phoenician alphabet they wrote them down. 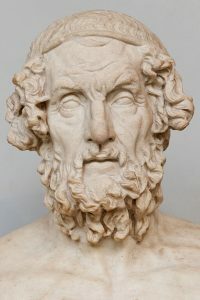 In approximately the 6th century BC, the tyrant of Athens, Pisistratus, ordered the compilation of Homer’s poems, which are considered a universal literary jewel. In this poem, Homer describes a portion of the war between the Greeks and the Trojans. The cause of the war was Paris the Prince of Troy’s abduction of Princess Helen, the wife of the Greek king Menelaus. The Greeks decided to avenge the affront and declared war on Troy, for which they prepared an army under Agamemnon, which included valiant soldiers, such as Achilles, Ulysses, Patroclus, Ajax, among others. Near the end of the war, a dispute arose between the Greeks Achilles and Agamemnon due to Agamemnon having stolen Achilles’ slave Briseis, who had won her as a share of the booty. Faced with this humiliation, Achilles decided to retire from combat, thus turning the Greek triumphs into successive failures. Before these misfortunes, Patroclus, a great friend of Achilles, decided to join the war, but was killed by the Trojan prince. The death of Patroclus shook Achilles, who in anger returned to the fight and killed Hector, rescuing the body of his friend from the hands of the Trojans. The poem ends with the Trojan chief’s funeral, whose corpse was dragged along the walls of Troy, and then delivered to Hector’s father and the King of Troy, Priam, by Achilles. Later in the heat of battle, Paris fired a poisoned arrow that wounded Achilles in his heel, his only weak spot, killing him. The war continued with the Greeks being unable to defeat the Trojans. This was why the Greeks resorted to building a huge wooden horse containing their most courageous warriors, leaving it on the battlefield, and then pretending to retreat. The Trojans, believing it to be a reward for their bravery, transported it as a trophy into the inner city and celebrated it with a great party. The Greeks made the most of the darkness, descended from the wooden horse and opened the gates of Troy to allow the Greek army to enter. The Trojans were taken by great surprise and finally, after a great battle, the Greeks seized Troy and recovered the captive Helen. The Odyssey is an epic poem consisting of 24 cantos, through which the author tells the hardships that Ulysses or Odysseus went through to return to his homeland, Ithaca, following the end of the Trojan War, where his wife, Penelope, and his son Telemachus are waiting for him. Ulysses, also called Odysseus, hounded by Poseidon’s wrath, was lost in the sea for ten years. After this, he was able to reach his homeland thanks to his cunning, which saved him from the difficulties posed by the adversary Greek gods. In spite of the political differences between the states, Greek national ties existed. These were: language, religion, amphictyonies, and the Panhellenic games. The Greek language, with dialectal variants, was spoken in all Greek areas, and out of all of them, the Ionian dialect was the literary language. The Greek alphabet has its origins in that of the Phoenicians, who after improving it, added the five vowels. Greek religion was characterized by being polytheistic, anthropomorphic and pantheistic. It was polytheistic as they worshiped many gods. They believed that natural phenomena like the sun, the air, and the sea had been created by superior beings dwelling in Mount Olympus, who they called gods. It was anthropomorphic because the Greeks were certain that their gods were human in form, and had the same passions, virtues, and faults as men. Of course, they conceived them as being taller, more beautiful, more intelligent, and happier than men. It was pantheist as the Greeks worshiped natural phenomena, such as light, the sun, the sea, etc. Greek deities are classified as being Panhellenic or universal, private or household, and demigods or heroes. 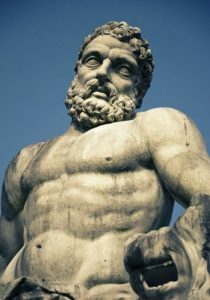 Zeus, considered to be the highest authority; father of all gods and men, possessor of lightning. Hera, wife of Zeus, protector of marriage and birth. She was identified as the sky. Apollo, god of truth and protector of the fine arts. He was identified as the sun or light. Artemis, goddess of hunting and nature. She was the moon, the goddess of night. Demeter, goddess of agriculture and protector of farmers. Dionysus, god of wine, drunkenness, and the dramatic arts. Poseidon, brother of Zeus, god of the sea and storms. Amphitrite, wife of Poseidon and goddess of the calm sea. Hades, who reigned over the underworld and the world of the dead. Hephaestus, god of fire and metals, and patron of blacksmiths. Athena, goddess of the military, art, culture and science. She symbolizes intelligence and reason. Aphrodite, the goddess of beauty and love. Ares, the bloodthirsty god of war. Like other ancient peoples, the Greeks believed that a person’s life did not end with death. They thought that the deceased continued living elsewhere, where they had the same needs as the living, so it was necessary to worship ancestors and offer food before their graves. Household worship was directed by the head of the family, who acted as a priest before an altar where a sacred fire was burned in an oil lamp. No impure acts were permitted before it. Heracles, later known as Hercules, possessed an extraordinary force. He was a defender of good and justice. young men as an offering from the Athenians. Perseus, who killed the Medusa, whose gaze turned anyone who looked at it to stone. Achilles, the bravest of the Greek heroes, who stood out in the Trojan War. Orpheus, he civilized men and even charmed beasts with his enchanting melodies. Jason, who recovered the Golden Fleece with his ship Argos after mythological adventures. This was what the closest and longest-lasting city-state associations called themselves. 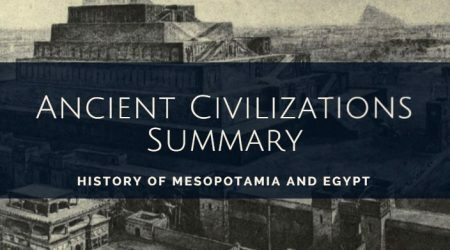 In reality, they were leagues of cities, whose inhabitants periodically congregated around a common shrine in order to hold parties and celebrations related to common worship. At the same time, they used the occasion to establish a common market and, above all, to forge friendships with their neighbors for the sake of mutual border protection. These were athletic and artistic competitions organized by the amphictyonies as a way of strengthening national solidarity. There were four main games: the Pythian, the Nemean, the Isthmian and the Olympic games. 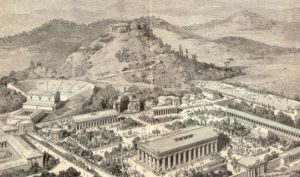 The Pythian Games took place in the sanctuary of Delphi in honor of the god Apollo. They commemorated the mythological victory of Apollo over the serpent Python. It took place every five years. The victors received a laurel wreath. So-named for being held near the forests of Nemea in the locality of Argolida, the Nemean Games were in honor to Heracles. They aimed to honor the memory of the fallen patriots who had defended the country against the Persians. These games were celebrated in the Isthmus of Corinth in honor of Poseidon. The contestants, artists or athletes, competed for the prize of a pine and olive crown. There were five sports in the contest: races, jumping, discus throwing, archery, and boxing. These were the most important games for the Greeks and were celebrated in honor of Zeus. They commemorated the contest of the gods in Olympia. Every four years, Greeks from the most distant towns concentrated in the city with the same name, forgetting their wars and problems for five days, maintaining a strict truce. Before the competitions, all the athletes swore to neither abuse nor kill their adversaries and to accept the judges’ decisions. The events included the following exercises: single or double running, wrestling, boxing, javelin and discus throwing, pentathlon (jumping, running, wrestling, discus throwing, and javelin) and finally chariot races. They were all a cause for great enthusiasm and revelry. The winners were rewarded with an olive crown as a symbol of victory. Greece’s rugged geography prevented the formation of a powerful and unified state. Instead, it gave rise to the formation of a set of independent city-states, located in different regions and with autonomous governments. 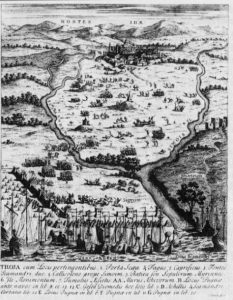 Each city, with its small territory and population, constituted a nation; the rivalries between them usually ended in wars and constant anguish. Instead, they identified themselves through the similarity of their customs and beliefs, which is why they called themselves Hellenes and called the peoples of other races barbarians. In this instance, we are speaking about Greek or Hellenic civilization, but not the Hellenic State. In European Greece: Sparta, located in the center of Laconia; Corinth, on the Isthmus of Corinth; Athens, in the region of Attica; and Thebes, in the region of Boeotia. In Asiatic Greece: Mytilene, located on the island of Lesbos, the most important in the region of Aeolia; Ionia, Smyrna, Ephebus, and Miletus along the coast; Chios and Samos on the islands; Dorida, Knidos, and Halicarnassus. From the 6th century BC onwards, political and cultural supremacy fell to Sparta and Athens.